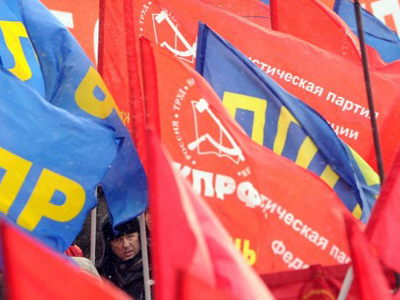 Communist leader and presidential candidate Gennady Zyuganov has warned that if he wins the March 4 race, all officials who have violated the law would inevitably face responsibility. 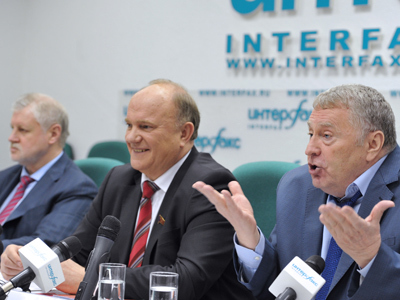 In particular, the KPRF chairman is set to launch proceedings on crimes committed during the privatization period in Russia, adding that these numbered over 50,000. Speaking at a media conference on Friday, Zyuganov stressed that everyone, no matter how highly placed, must be held responsible for violations of the law. The candidate underlined though that prosecution would only be carried out in accordance with legislation. 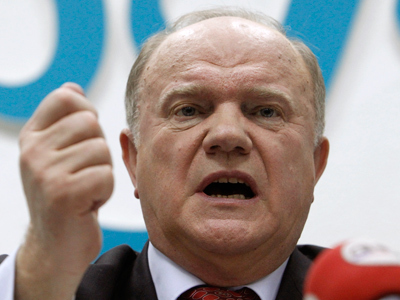 Earlier, Zyuganov suggested abolishing the Russian law that guarantees the head of state immunity from prosecution. The KPRF head also insists that Russia’s Chamber of Accounts should be returned its right “to control the situation in the country without the patronage of the government.” In case of a victory in Sunday’s poll, Zyuganov plans to invite opposition members to work for the body since this, he says, would ensure its transparency. 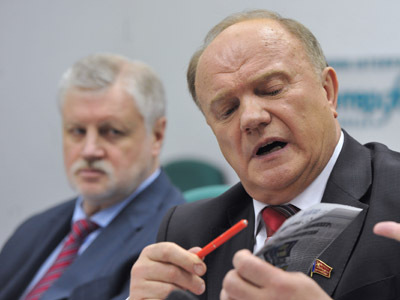 Speaking about the upcoming vote, Zyuganov expressed confidence that it will be “the most dirty” ever and predicted that the authorities will cheat. 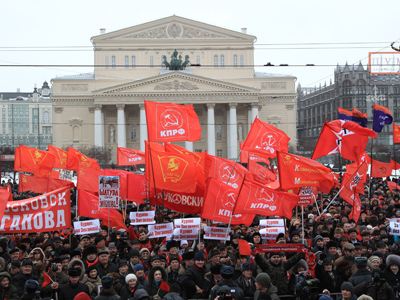 The Communists are confident that if vote-counting is fair, there will definitely be a run-off, with their leader and Prime Minister Vladimir Putin competing for the presidential post. The party has prepared over 300,000 observers to monitor the election.